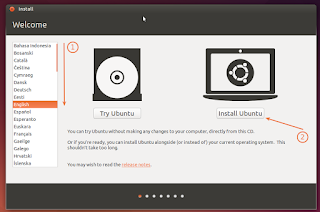 Ubuntu has always been free to download, use and share. We believe in the power of open source software; Ubuntu could not exist without its worldwide community of voluntary developers. 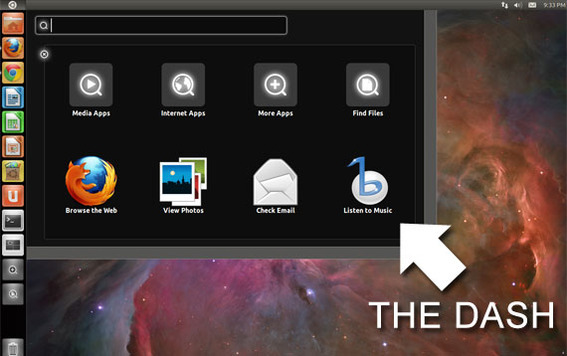 The Dash allows you to search for applications, files, music, and videos, and shows you items that you have used recently. If you have ever worked on a spreadsheet or edited an image and forgot where you saved it, you will surely find this feature of the Dash to be useful. To start using the Dash, click the top icon in the Launcher. 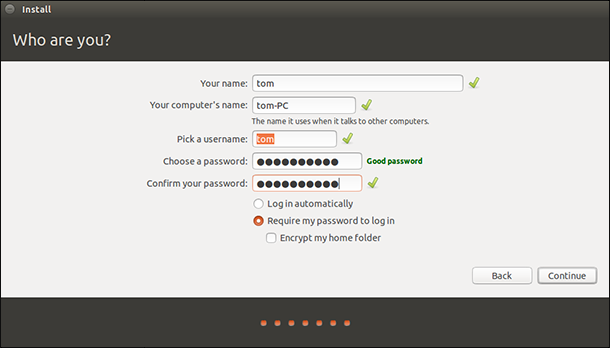 This icon has the Ubuntu logo on it. For faster access, you can just press the Super key. To hide the Dash, click the top icon again or press Super or Esc. VGA capable of 1024x768 screen resolution. 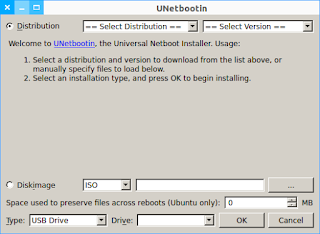 Download UnetBootin. 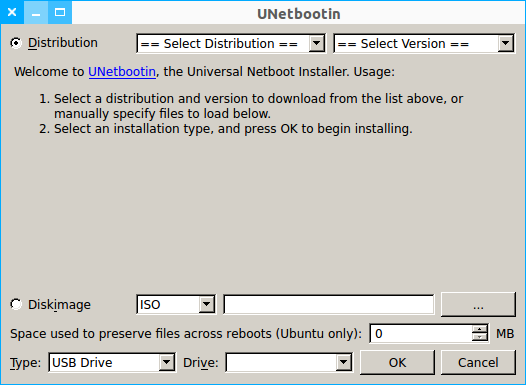 UNetbootin allows for the installation of various Linux/Ubuntu distributions to a partition or USB drive. 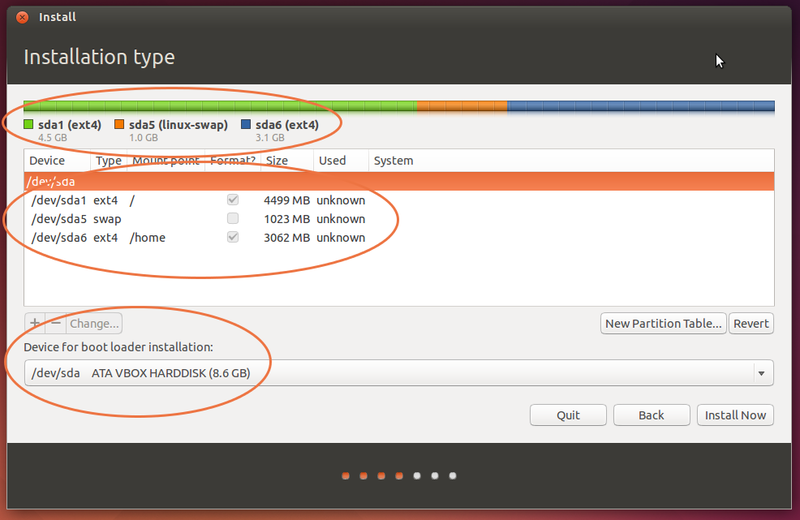 Select the "DiskImage" button. Now click on the button with three dots on it. 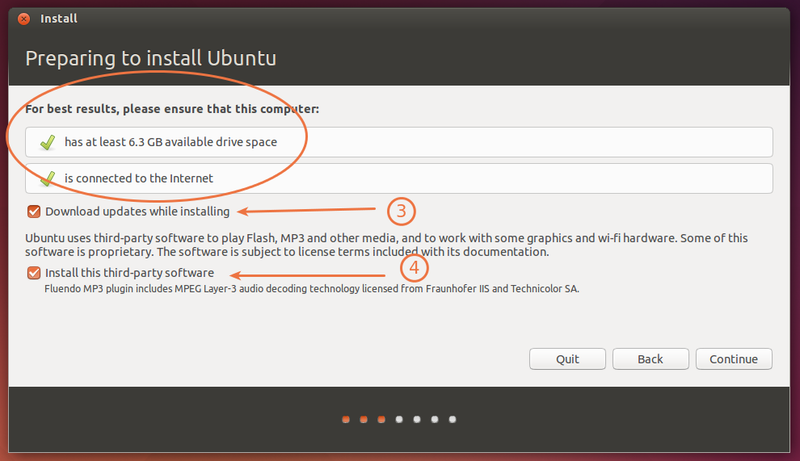 Make sure that you have inserted your USB drive and make sure the "Drive:" dropdown box is pointing at your USB drive. 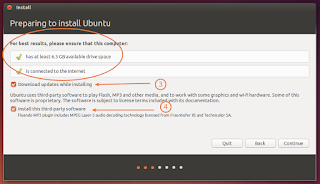 Click "OK" to start installing to the USB drive. 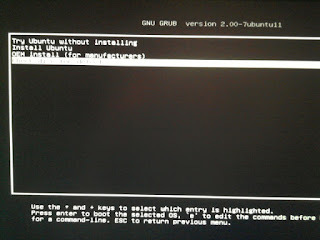 Note: If the drive is not blank to begin with that UNetbootin will not wipe the drive first. Format the drive yourself before you start. 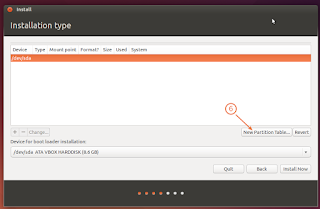 After booting the livecd or liveusb select the option install ubuntu . "use LVM for the new ubuntu installation" and proceed with the installation . 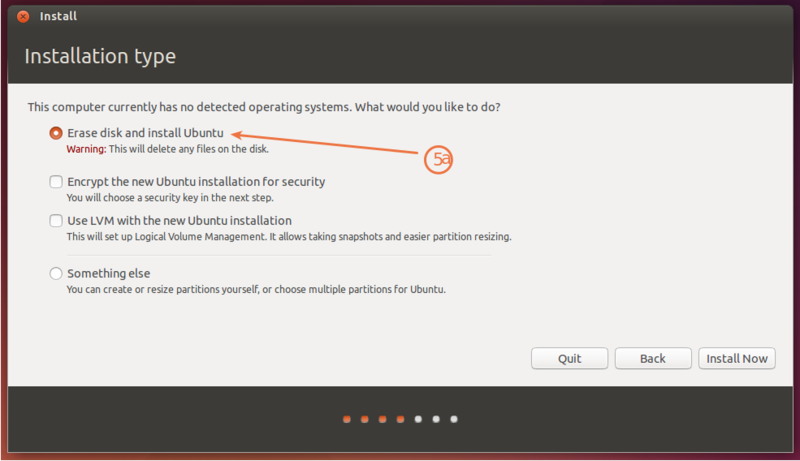 (B) If you are using two or more drives you will need to configure your partitions manually . 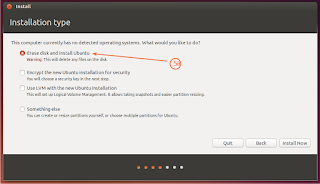 Creating a /boot partition is optional . A swap partition is optional on a system with more then 4GB ram . 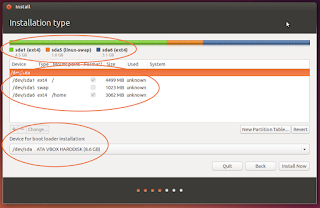 Having a swap partition can increase stability on a system with small amounts of RAM but will increase disk wear .The partitions we will be creating will be in ext4 format . 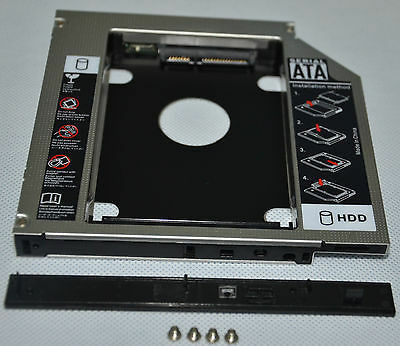 Device for bootloader installation should always be your SSD. 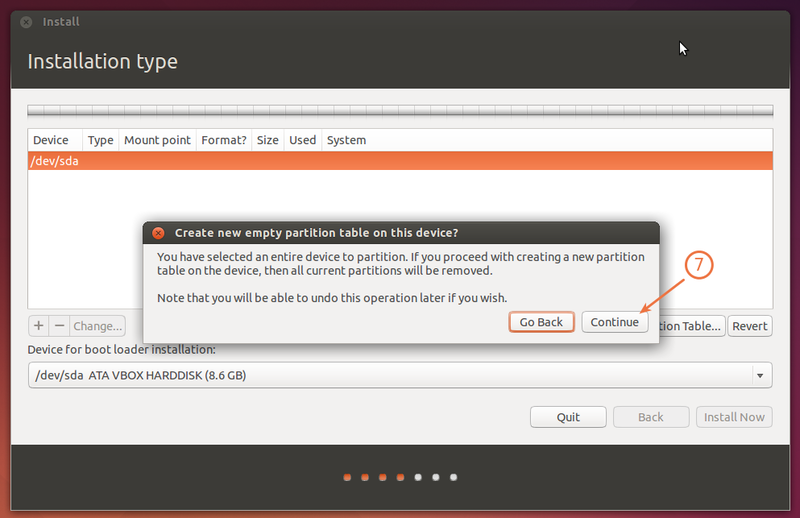 Create a swap partition preferably on your HDD. The swap partiotion will be represente by "/swap", the size of it will depend on individual needs . 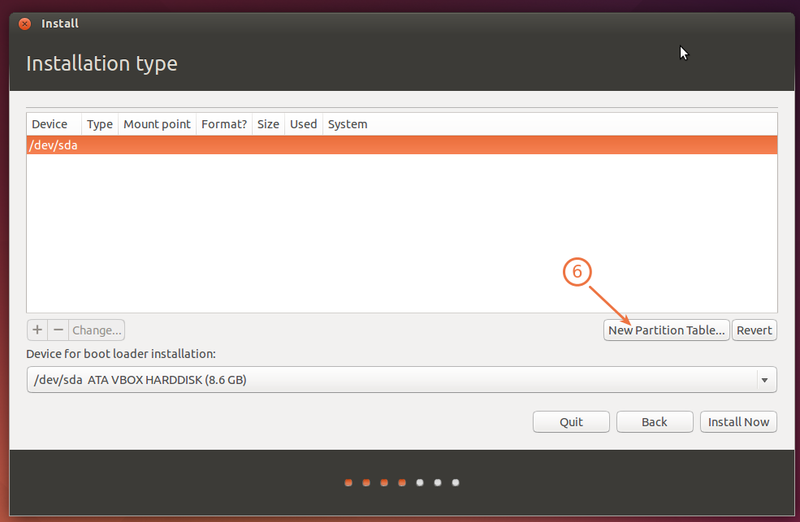 Proceed with the installation by clicking "Install now". 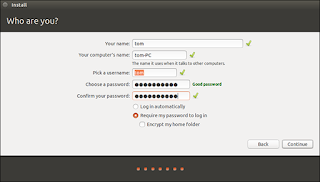 Create a username name and password . 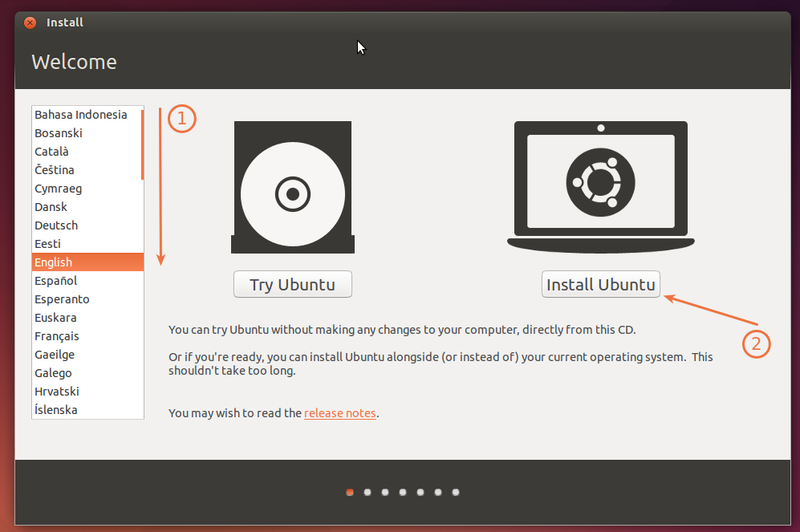 Wait until the installation finishes and reboot your computer .